It was a tragic accident, to be sure. A 22-year-old man died of injuries suffered when an alleged drunk driver sped through a stoplight in Bloomington, Ill., and rammed the car he was riding in. A senseless act resulting in the senseless death of Michael Collins, an exercise science major at Illinois State University. He also served as assistant baseball coach at University High School in Normal where his dad, Jim, was head coach. I was saddened for the family, of course, but not connected. Two days later, I ran into Jeff Stewart at an Illinois State baseball game. Jeff, an old friend, works for the Sand Diego Padres as a baseball scout. I was surprised to see him because spring’s the time he combs the country for players. The Stewarts and Collinses know each other well. Jeff’s son, Brock, now playing for Illinois State, and Michael were teammates at Normal West High School. At an ISU baseball game later that week, Brock honored his friend by wearing No. 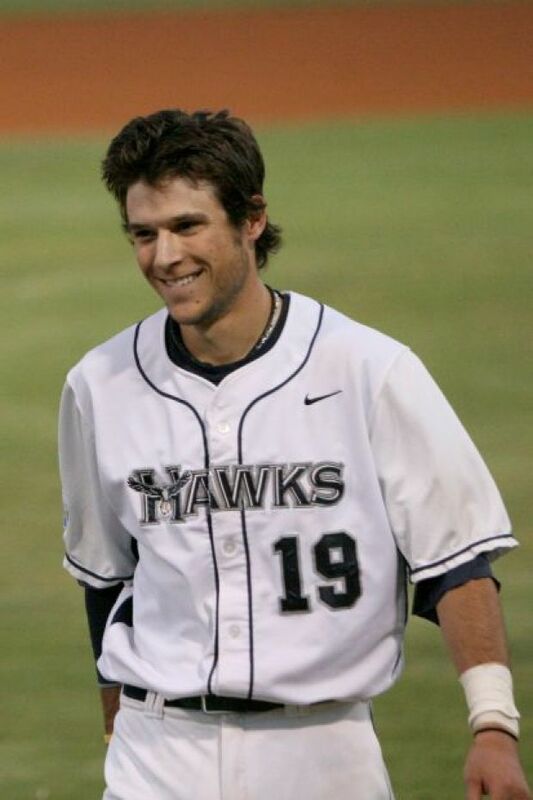 19, Michael’s number at Heartland Community College. The next day, students in my ISU copy editing class wanted to talk about the accident. Many of them work for the student newspaper, and know its sports editor Tawni Ricketts. She suffered serious injuries in the accident and remains at a rehabilitation center recuperating from back and pelvic fractures. Then I found out my daughter, Paige, worked at a local golf course with Betty Presley, Michael’s grandmother. Paige told me about her distinct memories of Betty and Michael enjoying many rounds of golf together. There was something about Michael’s positive, upbeat attitude that drew admiration and many friends. On social media, Ricketts said he’ll be remembered for his love of baseball and his ability to make everyone around him laugh. He also lives on as an organ donor to more than 200 people. His multitude of friends decided it was time to turn the sorrow of his death into something positive. There is a Facebook page called Pay It Forward for Michael Collins dedicated to the idea of repaying a good deed to others. It’s attracted nearly 20,000 visitors, many of them relaying what they’ve done for someone in Michael’s memory. People in fast food drive-thru lanes are paying for strangers’ meals. Not surprisingly, several are using baseball to honor Michael. Someone paid the enrollment fee to baseball camp. Workers at a local sporting goods store found a box of baseballs, each inscribed with “Pay it forward,” left behind by a customer. It’s grown beyond his friends in central Illinois. People in 45 states are paying it forward for Michael Collins. And they’re tweeting at hashtag #MCStrong. The Easter sermon, #JCstrong, caught me off guard. The pastor chose the topic to remind us how natural it would be for Jesus’ followers to focus on the events that led up to his death. Many never met him. Yet they chose to pay his life forward, with acts of generosity and kindness. Easter perennially reminds us something good can emerge from tragedy. Our pastor reminded us how the friends of Michael Collins also are making sure his memory can live on with acts of compassion and humanity. Now, if you will excuse me, it’s time to do something nice for someone.